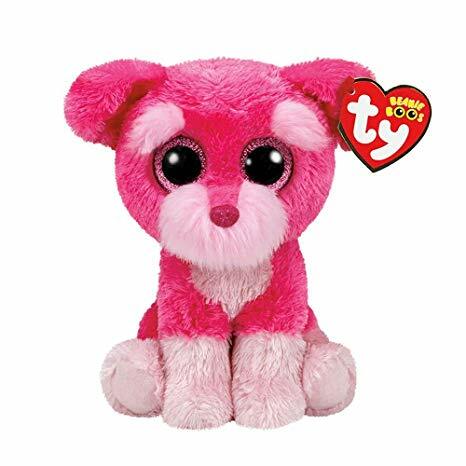 Cherry is a bright pink, Schnauzer dog with large, glittery pink button eyes and a bright pink, sparkly button nose. She has a lighter pink tufts of fur around her mouth and on her eyebrows. She also has a light pink belly and legs. Because I play with everyone at recess! Cherry was released in September 2016. Her Birthday is on 2nd June. She is a Claire’s exclusive Beanie Boo.